Recommended For: For lovers of fantasy and darker young adult fiction. Ten years ago the High Council’s wardens took Kate Winters’ parents to help with the country’s war effort. Now the wardens are back…and prisoners, including Kate’s uncle Artemis, are taken south on the terrifying Night Train. A far more dangerous enemy hunts Kate and her friend Edgar. Silas Dane — the High Council’s most feared man — recognizes Kate as one of the Skilled; a rare group of people able to see through the veil between the living and the dead. His spirit was damaged by the High Council’s experiments into the veil, and he’s convinced that Kate can undo the damage and allow him to find peace. The knowledge Kate needs lies within Wintercraft — a book thought to be hidden deep beneath the graveyard city of Fume. But the Night of Souls, when the veil between life and death is at its thinnest, is just days away and the High Council have their own sinister plans for Kate and Wintercraft. To help Artemis, Edgar and herself, Kate must honor her pact with a murderer and come face to face with the true nature of death. 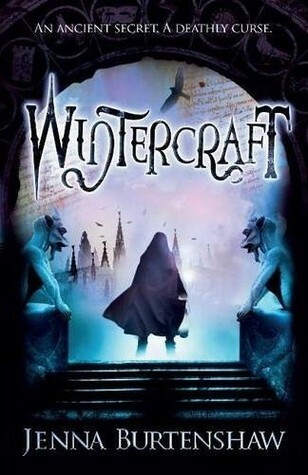 In Wintercraft, we meet Kate Winter’s, a young girl living with her uncle tending to a small bookstore not realizing that she is one of the Skilled and that she is wanted by many. One day, Kate and her uncle notice hundreds of birds flying over their small town; suddenly, the birds all plummet to their death and Artemis warns Kate to hide because he knows that the birds are a sign that the wardens have come. Kate has been given little to no information on the wardens, save that they took her parents for the war so she doesn’t immediately heed his warning. Instead, the picks up one of the poor birds and finds that the bird is brought back to life with her touch. Thus begins a whirlwind adventure for Kate and her friend Edgar in which Silas Dane, the most feared man in Albion, hunts them. Silas works for the High Council but he has an agenda of his own. Silas has been given a half-life, his soul has been separated from his body and he is forever trapped in the land of the living while still keeping half of himself in the veil between the living and dead. Silas is convinced that Kate has the power to find him the peace he has been longing for and therefore does what is in his power to keep her safe while still acting as if he is loyal to the council. I found this book while perusing on Goodreads one day and fell in love with the cover. It seemed like such a different type of story from the blurb and I am always intrigued by the “dark” young adult novels so I decided to pick it up from my local library and I am so happy that I did! I flew threw this book in an afternoon and immediately started book two. The characters in this book are fascinating to me. Kate Winters is a strong female character but she isn’t without fault. Jenna Burtenshaw gives all of her characters many layers (okay, maybe not Da’ru) and the reader is able to appreciate the conflict Kate faces as she comes into her “power” and determines the morally “right” decision in the face of danger. Though she seems stubborn, it is in an educated way so that she doesn’t look like a child. Though the reader can still understand that Kate really is just growing into a young woman and is facing dangers that she has never fathomed. Edgar is Kate’s best friend and though he provides some comedic relief he is far from a silly character. Edgar is faithful and caring yet there are many things about him that Burtenshaw has only alluded to. Many other characters make allusions that there is more to Edgar than meets the eye and I am really intrigued to see who his character turns into. Finally, it is no surprise that Silas Dane is by far my favorite character in the novel. Though he is a foreboding and one can argue, evil, character he is still a loyal soldier who doesn’t make promises he doesn’t intend to keep and he always fulfills his debts. Like Kate and Edgar he is also extremely layered and grows into someone the reader can empathize with come the end of the book. I should probably add that he is extremely swoonworthy. He is intelligent and brooding (my favorite!) and he has a pet crow! Who wouldn’t love that in a guy? I have to add that as of right now there is no romantic plot in the story and though I may have yearned a little I really loved and appreciated the story in a different way. I hadn’t noticed how much more depth a story can have when the “I do everything for love” plotline is taken out of a novel. The world Jenna Burtenshaw creates is richly imaginative and in a word, magical. 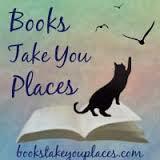 It completely drew me in as a reader and I found myself savoring every part of the novel in a wonderful way. I recommend this book to lovers of fantasy and darker young adult fiction. This entry was posted in Reviews, Young-Adult and tagged death, fantasy, magic, paranormal, supernatural. Bookmark the permalink. Hahaha, the beginning of this book sounds so much like the beginning of Flash Forward I couldn't help but laugh. This does sound like something I might really like, but I'm pretty hesitant because it kind of has 'love triangle' written all over it with the male best friend. You don't mention this though, is it not? Nope, no love triangle yet! I have read book two and its still absent yay!! I really thoroughly enjoyed this one, I am waiting for book 3 to come in the mail!